It can be easy to lose motivation when it comes to healthy eating. So this app from Public Health England is a timely reminder about keeping an eye on your sugar and salt intake. 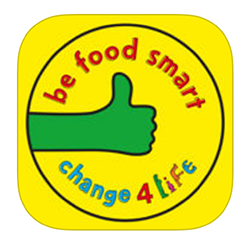 While the app may seem similar to the Change4life Sugar Smart, this app tracks not only the amount of sugar added to food, but salt and saturated fat too. It scans product barcodes to calculate measurements and helps users understand at a glance if food has low, medium or high amounts. Features such as food detective activities for children and mini-mission ideas encourage users to adopt healthy snack habit and different vegetables. Nurses can refer the app to people concerned about sugar and salt consumption.